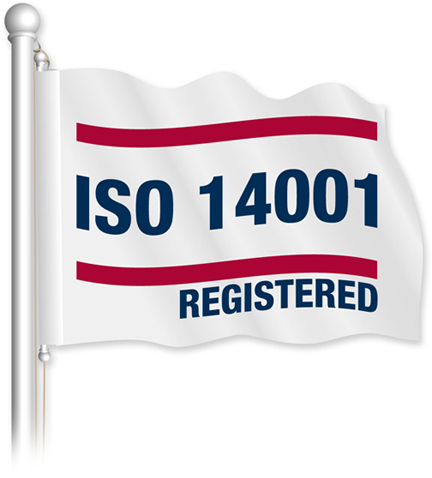 Management and Engineering Services has maintained a registered environmental management system based on the international standard ISO 14001. We have done this since 2001 through annual, internationally accredited registrar conformance audits. Through our management system we maintain carbon neutral operations at our headquarters facility in Colorado and use wind renewable energy certificates to offset 100% of our purchased electricity. Our corporate headquarters now features advanced lighting technologies including LEDs and T-8s throughout the facility, as well as ENERGY STAR® equipment. We are now using an interactive energy monitoring system to track specific areas of energy use to help target conservation potentials. We have developed and maintain a greenhouse gas emissions inventory in accordance with the international standard ISO 14065-1, and are currently implementing an energy management system based on the new international standard ISO 50001. Through our waste reduction program we have reduced solid waste by 98% over our 2010 baseline through waste reduction and waste diversion. Through our resource management program we have maximized our use of 100% recycled-content paper and products for office use and client product development. We carefully choose products and vendors based on their sustainable products and programs as partners of Management and Engineering Services. Management and Engineering Services, LLC is committed to being an environmental leader in all activities within our community, as well as in providing products and services to our clients, regardless of where they may be located and the types of products and services provided. Our commitment goes beyond compliance and is based on a holistic approach to sustainable practices, use of emerging technologies wherever practical, the conservation of energy and water and other resources. and the prevention of pollution. We are fully committed to ensuring that we are fully aware of, and properly respond to applicable environmental obligations. To achieve our environmental goals, we will implement and sustain an environmental management system based on the international standard ISO 14001. Our Environmental Policy is a critical element of our environmental management system and will be used to make decisions at all levels. Our policy will be made available to all employees, consultants, service providers, and the general public. It will be addressed in employee orientations and refresher trainings. Through our environmental management system and our employees and consultants, we are committed to the continual improvement of our environmental management system, our sustainable practices, our environmental performance, our commitment to our environmental management programs, and an awareness of all environmental regulatory obligations. This policy replaces all prior environmental policies as of the date of approval. We will review this policy at least annually and more often as may be necessary to ensure it is current and accurate.